Richard III not only had a hunchback but he also suffered from roundworm infection, research has revealed. Scientists found roundworm eggs in a soil sample taken from the pelvis of the skeleton of the king, which was discovered last year by archaeologists at the University of Leicester. 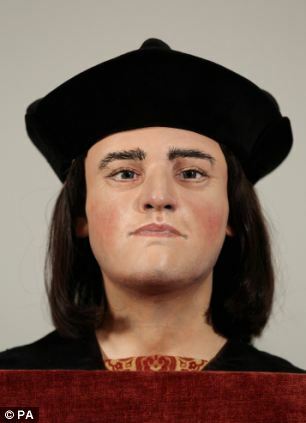 Since the body of King Richard III was found, scientists have been undertaking careful analysis of the remains, in an attempt to shed further light on the attributes and history of the controversial king. A team of researchers led by Dr Piers Mitchell, of the Department of Archaeology and Anthropology at the University of Cambridge, used a powerful microscope to examine soil samples taken from the skeleton’s pelvis and skull, as well as from the soil surrounding the grave. The microscope revealed multiple roundworm eggs in the soil sample taken from the pelvis, where the intestines would have been situated in life. However, there was no sign of eggs in soil from the skull and very few eggs in the soil that surrounded the grave, suggesting that the eggs found in the pelvis area resulted from a genuine roundworm infection during his life, rather than from external contamination by the later dumping of human waste in the area. Roundworms are parasitic nematodes which infect humans when people ingest their eggs via contaminated food, water, or soil. Once eaten, the eggs hatch into larvae, which migrate through the tissues of the body to the lungs where they mature. They then crawl up the airways to the throat to be swallowed back into the intestines, where they can grow into adults around a foot long. Roundworm infection is thought to be one of the common health conditions in the world, affecting up to a quarter of all people globally, although it is rare in Britain today. Dr Mitchell said: 'Our results show that Richard was infected with roundworms in his intestines, although no other species of intestinal parasite were present in the samples we studied. The Dig for Richard III was led by the University of Leicester, working with Leicester City Council and in association with the Richard III Society.